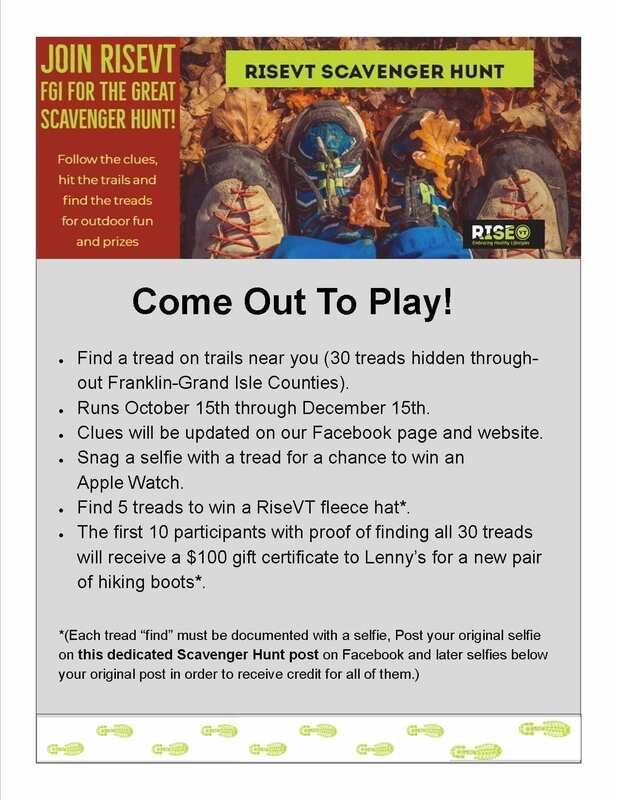 RiseVT FGI invites you to the scavenger hunt of a lifetime from Oct. 15th through Dec. 15th! Hit the local area trails (following clues that will be posted on our Facebook page and website) to find 30 “treads”, which are laminated paper shoe prints placed strategically throughout the trails. 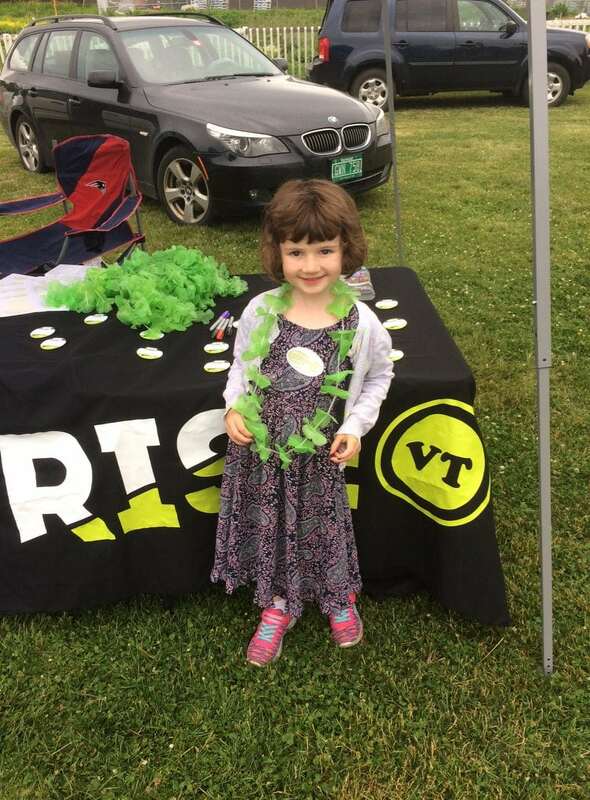 Take a selfie with the tread and submit it for a chance to win prizes! It’s easy, fun and a great way to get outside! Please refer to the accompanying flyer or our Facebook page and website for more detailed information.